Cochin, also known as Kochi is located in the southern state of India, Kerala. It is a vibrant city with breath-taking scenic beauty and is a major port city on the south-west coast of India. This city was harbour and the trading centre for spices. Fort Kochi, Mattancherry Palace, Cherai beach, St. Francis church are some of the places you can see in Cochin. This city is commercial capital of Kerala and it is home to major chemical, IT and health service corporations. Cochin has a number of colleges and educational institutes that provide higher education in the field of engineering, arts, social science, law, commerce, medical science etc. Getting a personal loan in Cochin has now become easy due to online loan apps. These apps provide paperless loans. The process is faster compared to traditional bank loans without any asset showcase as these are unsecured loans. You don’t have to visit any branch to apply for a loan. 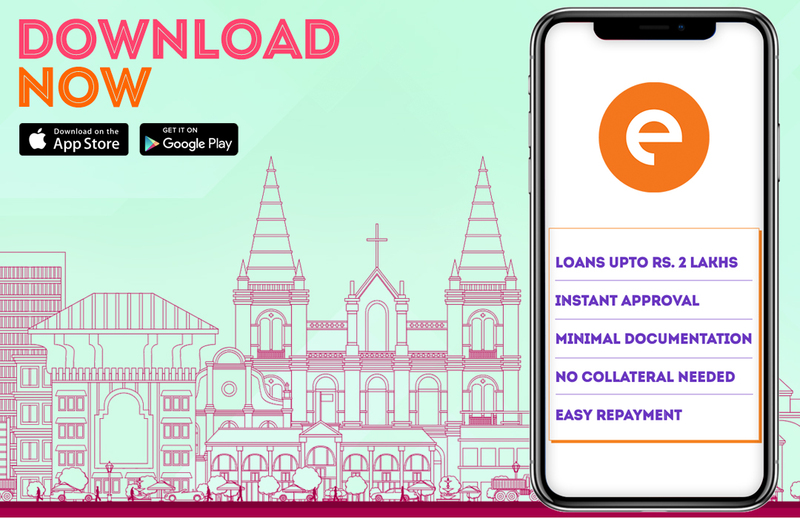 You can simply download the app and carry the entire loan process online. You can download the cash loan apps on your smartphone to apply for personal loan in Cochin. Register yourself on the app by entering your personal details like name, number, address, and bank details. The app will then ask you to enter the loan amount and the duration of the loan. Most of the online loan apps offer loans starting from ₹10,000 to ₹1 to 2 lakhs. You can take a loan for 15, 30, 60 or 90 days. The interest on your loan amount will depend on the duration of the loan. To avail a personal loan you have to submit the documents online. Once you submit all the required documents and details, the app will then review your request. Once the loan is approved the amount is then disbursed on your personal savings account. On the due date, you can repay the loan amount via bank transfer or cheque deposit. There are a few documents which you need to submit. These include your identity proof, address proof, and income proof. As your identity proof, you can submit your pan card, aadhar card, passport or driver’s license. Any of these would be a valid ID proof. For your address proof, you can submit your passport, rental agreement or utility bills like electricity, water or landline bill. For a salaried employee, documents like 3 to 6 months’ salary slips along with bank statement would be valid. Your employee should have a registered company. For a business owner documents like your ownership agreement, business profit and loss statement and office utility bills will be an effective proof. The business has to be in existence for a period of 3 years. You are eligible to apply for a personal loan in Cochin if you are between 23 years to 58 years old. You have to be a resident of India. Still wondering how to go about it? Read here to know more about how to apply for a personal loan.